We aim to confirm your booking in a couple of hours, but if you don’t hear from us please do call, or contact us here, as your booking may not have been received. We’re open Monday – Saturday 9am to 6pm. All of our party options are unique wth bespoke games, music and prizes. 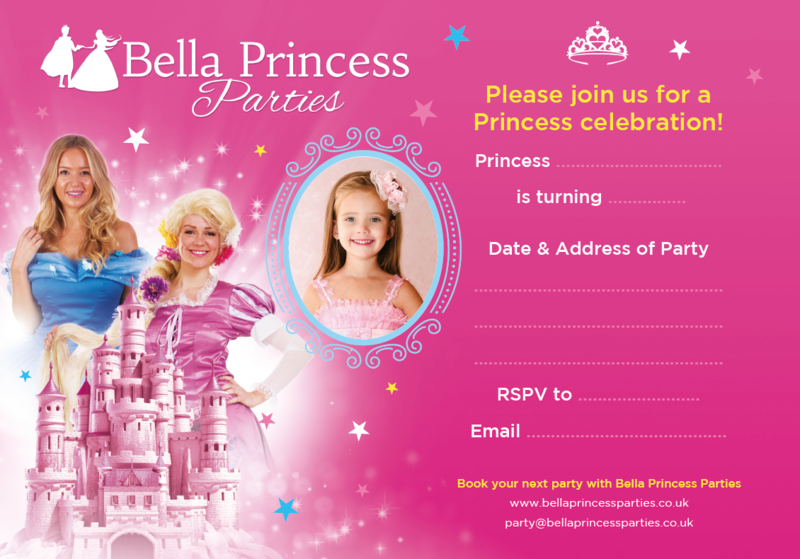 We provide FREE customisable invites and FREE princess certificates to all our customers. Our terms and conditions must be agreed upon for all bookings. Regardless of whether the booking was taken over the phone or through our booking system. Strictly a maximum of 30 children allowed per an Entertainer, unless agreed by us in writing. Our pricing is based per entertianer for the time spent at your party, as opposed to games played or character provided. We reserve the right to change which Entertainer is allocated to your party. We are under no obligation to notify you of this change, however your entertainer will always contact you on the week of your party. All bookings are under the agreement that entertainers are self-employed. EFYPL will act as an intermediary should an unlikely dispute arise between yourself and an Entertainer. Deposits are 50% refundable from two weeks (and over) from your party date. However this depends on demand and availability and is completely at our discretion. Deposits are 0% refundable under two weeks from your party date. However, we will gladly liaise with you to find an alternative date based on availability within a six-month period. Force Majeure – We accept no liability for any party lateness or cancellations related to Force Majeure (for example extreme whether, national emergencies etc). You will only ever be charged for the amount of time your entertainer is at your party. You acknowledge that all characters booked have no association with any other named brands. We do not wish to violate or infringe upon any copyright laws. We have costumes, characters, jewelry, hairstyles and props derived from our imaginations and DO NOT claim to be associated with any copyrighted or name brand character.